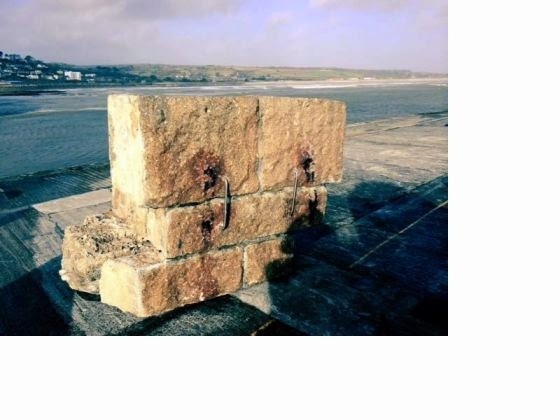 Penzance Chamber of Commerce: Government contributes to Penzance harbour repairs. Government contributes to Penzance harbour repairs. The Government has distributed £1.7 million in small grants to help with repairs to ports and harbours around England. Penzance Harbour is getting £129,674 to cover part of the cost of fixing the breach of the sea wall/parapet, loss of fresh water supply and damaged lighting on Lighthouse Quay and, on South Quay, to repair damage to fresh water break tank, cobbled surface and electrical bollards. The allocation of funds is shown in map – follow link here and click on highlighted ports. Comment. The Dept of Transport turned down Cornwall Council's proposals for limited rock armour on vulnerable points along South Pier and Lighthouse Pier in Sep 2013. By Feb 2014 one of the three vulnerable poionts had been substantially damaged by violent seas. Repairs are now complete but the vulnerable points along the Pier are as vulnerable today as they were in Sep 2013 when the Department decided the defensive work was not justified.